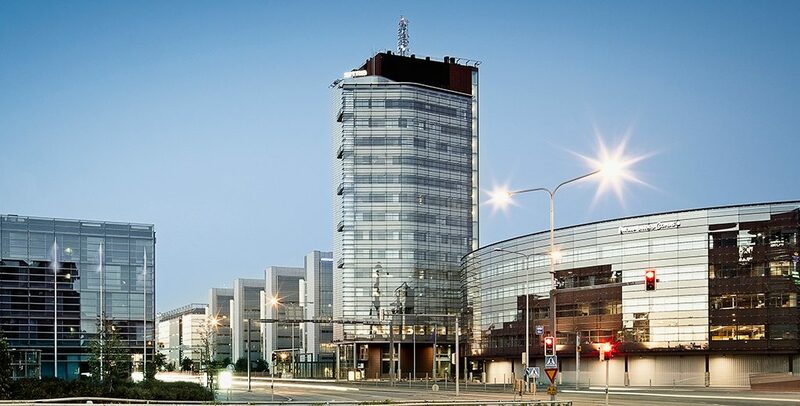 Demand for premises in the Itämerentorni tower has been high this past year, and less than 1,000 m2 of space scattered over a few floors remains available to let. The premises have also been renovated as new tenants have moved in. At the same time, the building’s service offering has diversified. For example, the tower has meeting and entertainment facilities that can also be rented by non-tenants. The Itämerentorni building is the tallest office tower in central Helsinki. Located in the Ruoholahti district, the building is part of the Kiinteistö Oy Itämerentori development, which includes a lower building in addition to the tower. The building, constructed as the head office of the Finnish Innovation Fund Sitra and designed by Architect Pekka Helin, was completed in 2000. The premises can be modified flexibly according to the needs of tenants. The building offers a wide variety of services: a lobby service, garage, gym, lunch diner, catering, conference rooms and entertainment facilities including a sauna on the top floor. Itämerentorni is easy to reach by car or public transport. The garage can be entered directly from the Länsiväylä highway, bypassing the Porkkalankatu intersection, or from Itämerenkatu in the direction of Ruoholahti. There is a metro station and tram stop nearby. Dozens of bus lines operate on busy Porkkalankatu in the directions of Espoo and Kamppi. KOy Itämerentori is the environmentally aware organisation’s choice. The property was awarded a silver environmental certificate in February 2014. We have systematically reduced the property’s energy, water and material consumption. The building obtains its energy from emission-free sources, and its electricity is generated from fully renewable and carbon-neutral energy sources. From 2010 to the end of 2015, we have successfully reduced heating energy consumption by 18% and electricity consumption by 23%, without compromising on comfort. We have also paid attention to waste generation and sorting. No unsorted waste is collected from Itämerentori anymore. The property is cleaned in a sustainable way, improving comfort and minimising detrimental health effects.